My familiarisation with rural English cuisine began at Devon where our first stop was for lunch at an award-winning seafood restaurant called The Boathouse Café. Set in a unique location in the fisherman’s arches on the Mayflower Steps, its speciality is fresh fish and shellfish, caught by the restaurant’s boat — The Southern Star. The steps are located in the Barbican area of Plymouth; it is believed that the Pilgrim Fathers left England aboard the Mayflower, before crossing the Atlantic Ocean to settle in North America. Delicious jumbo crab sandwiches washed down by bottles of ginger beer while gazing at the busy Plymouth harbour made for a pleasant afternoon. My next stop was at the picture-postcard-perfect setting of Plymouth Gin Distillery. The construction dates back to the early 1400s and it is one of the oldest buildings in the charming city, making it a precious heritage. This is the only English distillery that offers gin enthusiasts an opportunity to visit any time of the year, and has been in operation since 1793. Made by one man in a Victorian copper still, each batch is handcrafted and every stage of production is overseen by master distiller Sean Harrison. This award-winning Plymouth gin owes its sweet, soft taste to the unusually pure and soft water from Dartmoor National Park. It has the distinction of being mentioned in the first ever documented recipe for dry martini in 1896 and is still acknowledged as the perfect gin martini by bartenders worldwide. I opted for the Gin Connoisseur’s Tour that lasted for about an hour and a half — a unique opportunity to compare different types of gin as part of a tutored blind tasting. Five shot glasses of gin were displayed along with a container that had various ingredients used in gins such as coriander seed, orange and lemon peels, juniper berry and green cardamom. 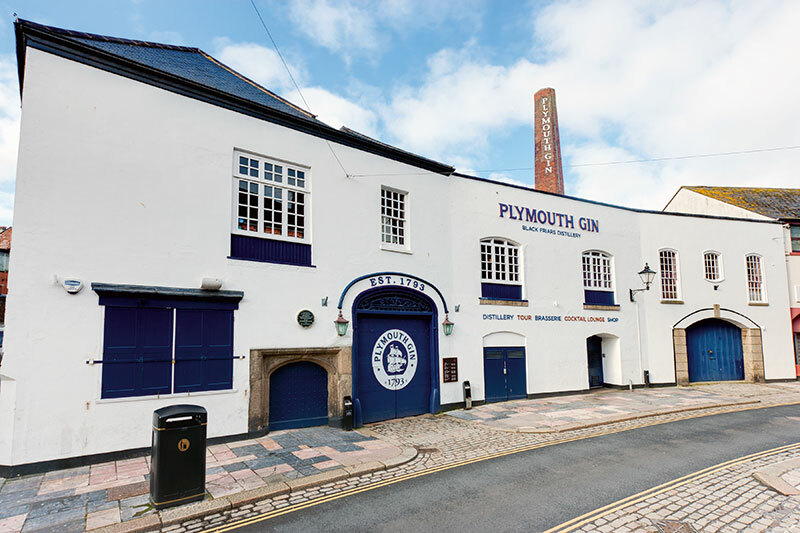 Plymouth Gin is one of the only 18 British food and drinks which has geographical protection, meaning it has to be made within Plymouth’s ancient city walls. While in Devon, a meal at Treby Arms (made popular by Anton Piotrowski who won MasterChef: The Professionals in 2012) is a great idea if you wish to eat in a space that is cosy with the casual vibe of a pub. Traditional British fare is served here in a contemporary fashion and the menu which changes here every day boasts of dishes such as lobster tail dog (with dill mayonnaise, skinny fries and leek ash brioche), creedy carver duck (duck hearts, black pudding, bonbon, duck leg) and Pip’s asparagus and roe deer (with parmesan orzo pasta, wild asparagus and snowball onion). Chef Anton uses local ingredients and herbs, retains essential flavours and yet manages to push the boundaries, which results in food that is superior in terms of quality. 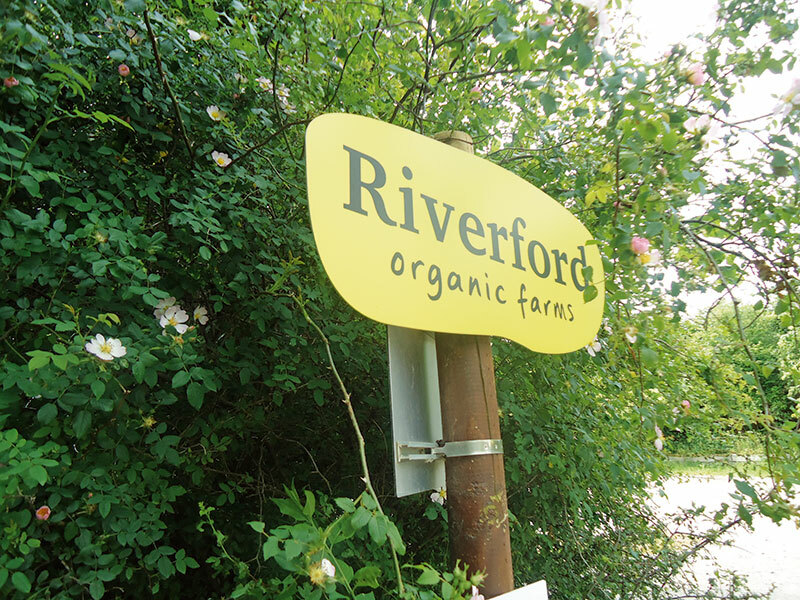 A not-to-be-missed destination for wholesome English food in a rustic setting is Riverford organic farms. I went for a tour of their farm before dining at Riverford Field Kitchen. The farm sells vegetables, fruits, salad boxes which contain organic vegetables and fruits grown in polytunnels such as spring onions, cucumbers, chillies and tomatoes. Lunch at their field kitchen is a pleasurable experience with flavours that cater to the heart and are made from the freshest of produce in their farms. A tour of the gorgeous Camel Valley Vineyards was on the cards on a beautiful sunny English morning. The Cornish vineyard and winery produces premium wines and is acknowledged especially for their sparkling wines which are known to be at par with wines from Champagne. Winemaker Sam Lindo showed us around the site which has been producing award-winning wines in this beautiful spot of Cornwall ever since 1989. Patronised by the royal family of England among others, the wines produced here are served in Michelin-starred restaurants all over the United Kingdom. Tours organised by the winery are relaxed and friendly and the vineyards were gorgeous with vines planted over acres and acres of sloping hills. The highlight is definitely the adjoining terraces where we relaxed with glasses of wine. It was enlightening to know that in England, sparkling wines can be produced from other grape varietals, not just the usual ones used in Champagne. While in Padstow, we visited the Padstow Seafood School run by English celebrity Chef Rick Stein and his team. This cookery school offers day-long fish and shellfish cooking courses, half-day and full-day courses, skill workshops, for those who wish to learn cooking from expert chefs in a beautiful location that has a view out over the estuary. Stein owns a string of restaurants in the UK, has written various cookery books and presented several TV shows. During my visit, Head Chef and lecturer Mark Puckey demonstrated how to shell and cook Singapore chilli crab. No visit in Cornwall is complete without a taste of the Cornish clotted cream and jam slathered on top of scones and served with English tea. 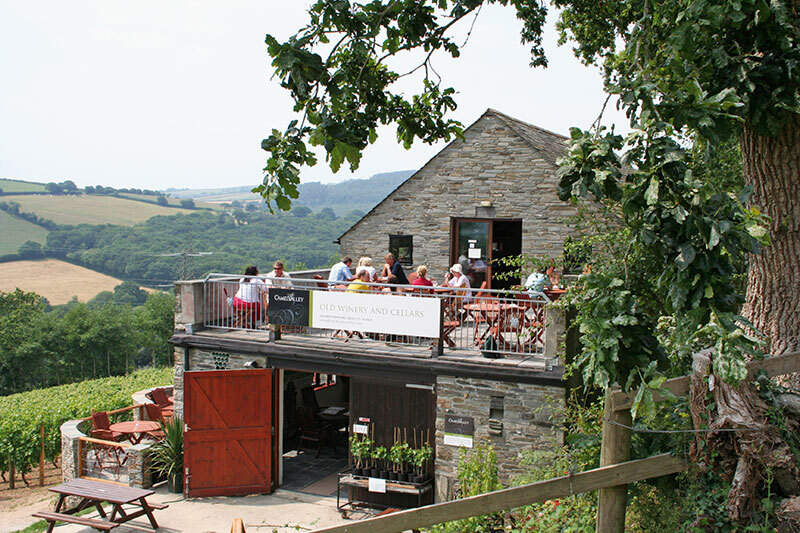 Firmly rooted in the county’s traditions, a great place to enjoy this sinful delicacy is Rosemergy Barn in Morvah. The scones are baked to crumbly perfection and are served warm straight from the oven to the table. My affable English guide Sarah Marshall informed me that in Devon they layer the scones with cream first and then a spoonful of jam, while the Cornish do it the other way around, leading to heated debates between Englishmen and -women! Old-world charm and simplicity, and local food served in time-honoured indigenous style against the backdrop of beautiful coastlines, cobbled streets, English pubs and haunted manors makes a visit to the English countryside nothing short of a theatrical experience. 5 Local Dishes From Britain That Will Leave You ‘Gobsmacked’!